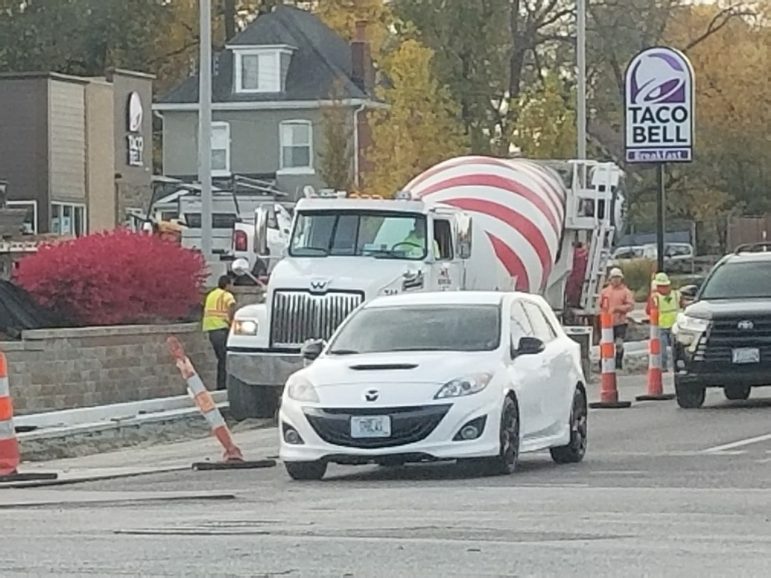 Maplewood resident Robert Chandler posted a photo of a cement truck at S. Big Bend at Manchester on Tuesday, adding: “Finally progress!” Jim Wright, project engineer for the job for St. Louis County, hasn’t responded to an email regarding the schedule. I just hope they can get all this work on Big Bend done before the resurfacing paving work that will go from Laclede Station Road to Clayton road starts next year. The Big Bend project should not be taking this long to complete and soon they will be starting on the other corner. I can’t wait for that nightmare to start! And there is progress on Sarah St. Today the rough section was paved over. The street is now one level. Hallelujah! And thank you for your help Doug.